If a tree fell in the forest and no one was around to hear it, did it make a noise? That’s a question for the philosophers out there. But if your backyard tree falls and takes out the fence, ruins the neighbor’s shed, and digs up the lawn, you better believe it will cause a ruckus. It works the other way around, too: what if the tree was next door and took out your sunroom after blowing over in a storm? What is your recourse? There are a few factors at play in these situations, but it all comes down to how healthy the tree in question is. 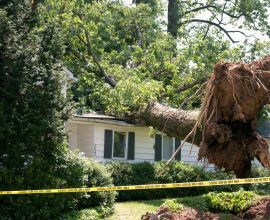 When it comes to tree removal, it’s important to know the terms and conditions of your home insurance. If there is concern about a tree, ask your insurance agent how to file a claim, how much insurance will pay to remove the tree and take care of any damages. For most homeowners, healthy trees provide shade in the summer, the beauty of changing leaves in the fall, and notice of springs arrival when leaves begin to reappear. 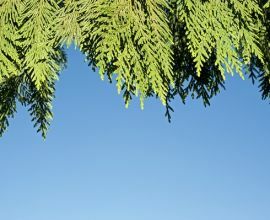 But if the tree doesn’t provide as much shade as it once did, begins dropping branches instead of leaves, or struggles to produce leaves, there could be an issue. It’s an important distinction. While healthy trees still get blown over in heavy storms, it could make a difference when it comes to responsibility for clean up and debris removal. It also matters if a dying tree has been established as a hazard or not. 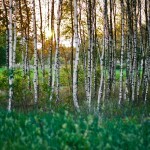 If there is a concern, a certified arborist can establish the health of the tree. The known health of the tree is important on many fronts. If your tree is diseased or dying, and your neighbor has confirmed this with an arborist, it is your responsibility. This information will be made available to both insurance companies. At this point, you will have to pay to remove the tree, not your insurance company. You would be held liable if, or more likely when, the fallen tree causes any damages to your home or structures on your property. It is a known issue at this point and it is your responsibility to maintain your grounds. If the tree is beyond repair, it’s best to get it removed as soon as possible to prevent possible damage in the event of a storm. In most cases, you will have to cover the cost of removal. But it will cost much less than repairing any other damage it might cause if it falls. What if the tree hasn’t been established as dying? Things get a little murkier at that point, although your neighbor may still file an insurance claim to recover costs if the tree causes any damage or needs to be removed from their property. If your tree is in great condition, there’s obviously no reason to remove it. If it looks like it might be getting a little too big for the area, or could cause problems in the future, you could consider pruning the tree. This will keep it strong, healthy, and looking great. If you want to get rid of it for other reasons, such as view improvement, insurance will not cover that cost. However, a healthy tree can still get blown over (even taking a root ball with it!) in a storm or have large branch break off because of an accumulation of snow or ice. 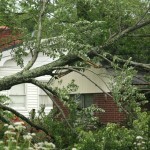 If it causes damage to your home, your homeowners insurance should take care of the damage as well as tree removal. Insurance may also take care of tree removal if it causes no damage but falls on your driveway, wheelchair ramp, or other areas that hindering your ability to access needed parts of your home. Even then, some insurance companies put a limit on the amount of payout for tree removals. What if there is no damage other than the tree? If your favorite maple falls but causes no damage to structures, vehicles, or anything else, insurance won’t cover the removal or to replace the tree. Which makes sense: these companies would be on the hook for cleaning up after tree branches that fall after every storm. Mother Nature has given us beautiful trees to make the world a better place. But she can also take a tree or two away during harsher weather. 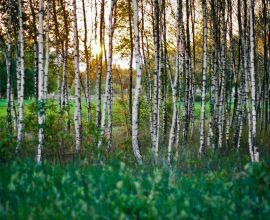 In many cases, insurance companies won’t cover removal of trees if no other damage has occurred. However, tree removal often is part of the coverage when structures have been hit. Worried about a tree on your property? Contact Inexpensive Tree Care today. 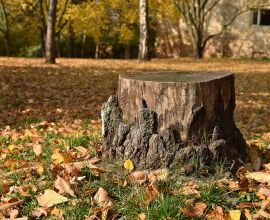 Along with pruning and trimming, we provide tree removal, stump grinding, and view improvement services. We’re honest, reliable, and offer competitive bids. We look forward to hearing from you!